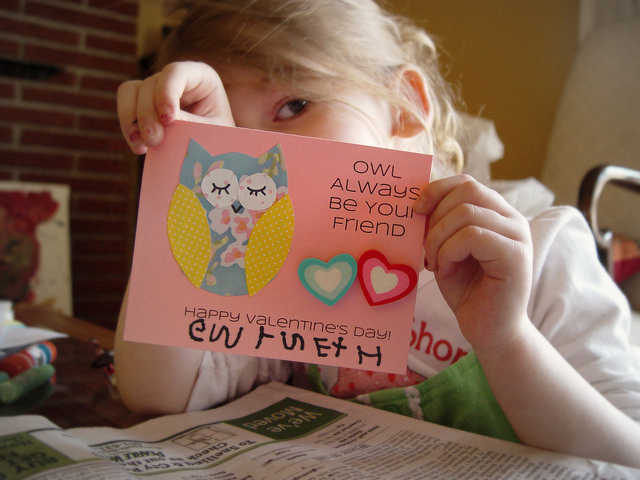 Gwyneth and I had fun yesterday making these little Valentines. I thought I’d share them with you (with some downloads). 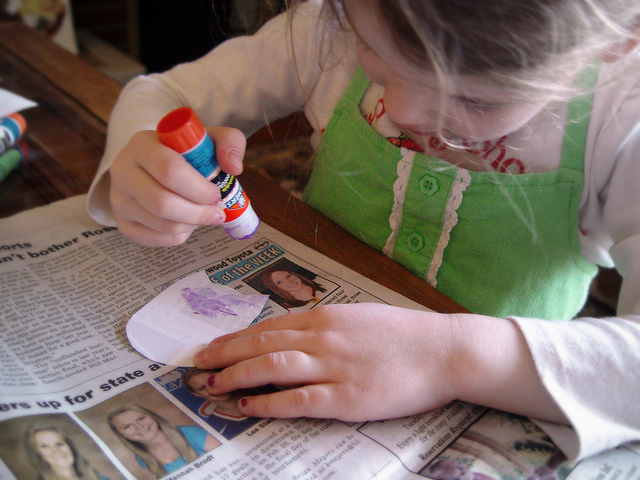 There were pretty quick to make and Gwyneth had fun. We made enough for her preschool class plus some extras. 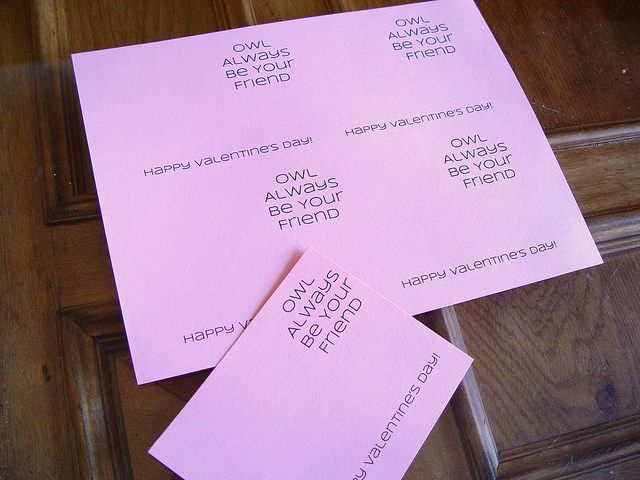 Start by printing out this Valentine sheet on cardstock (we used pink!) and cut them out. 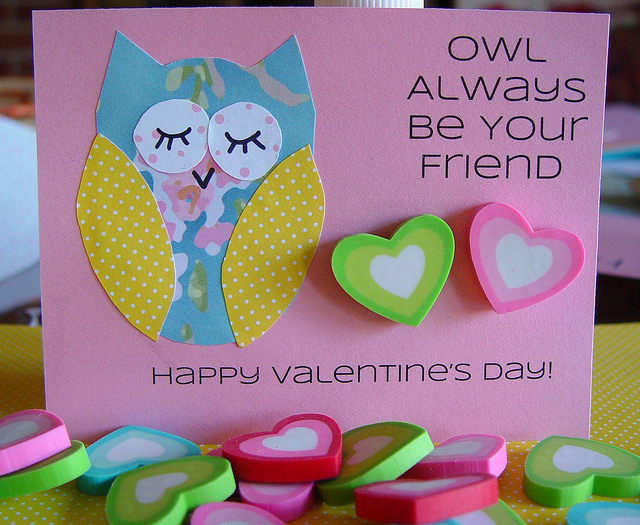 Take the owl template and cut the pieces from some scrapbook paper. 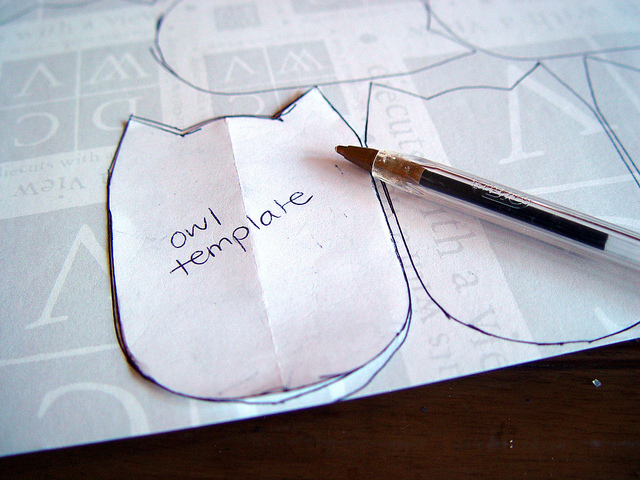 I like to take the template and trace it onto the back of the paper to cut it out (that way any ink is hidden). 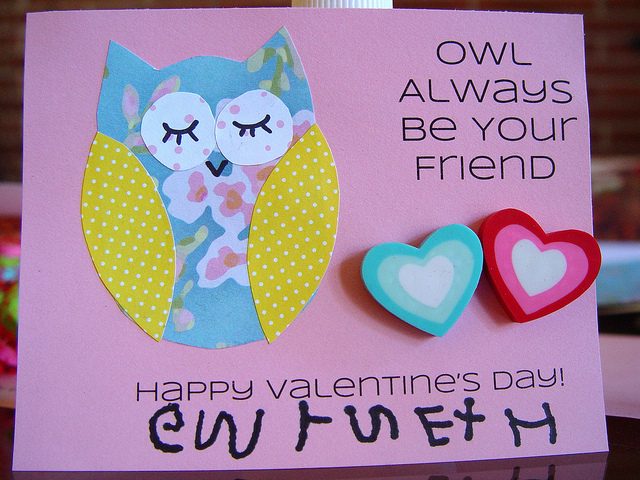 Have your helper help glue the owl together. 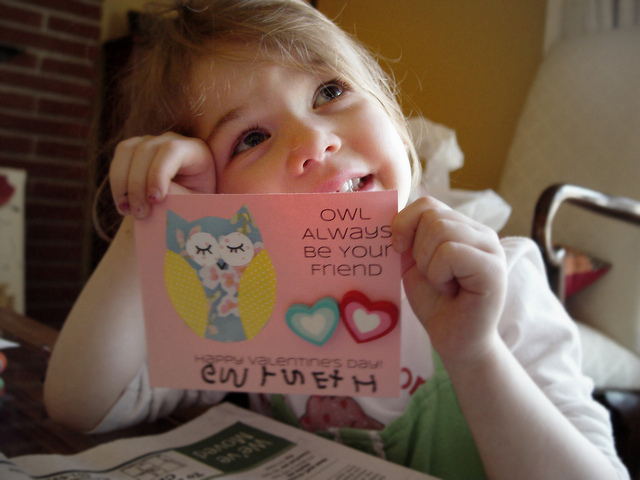 I made one for her to see how it would look, so she could follow the pattern. Add some eyes and a beak with a sharpie. 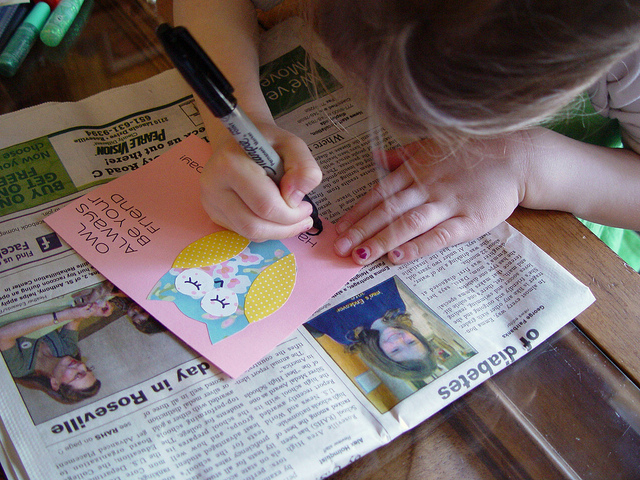 Next have your little one sign their name. She worked so hard at this!! 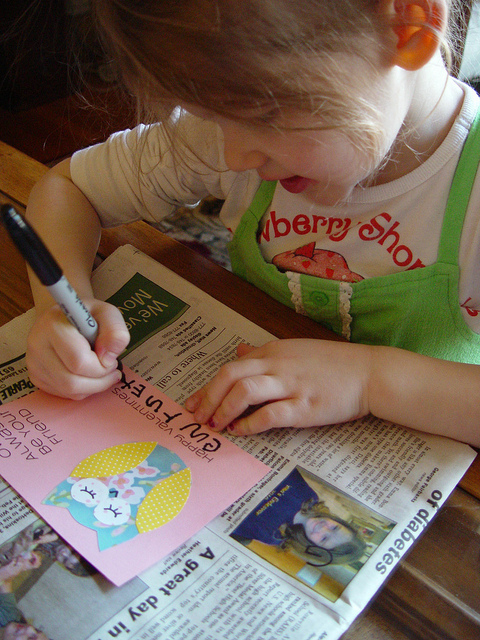 Writing your name 32 times is quite a bit of work when you’re four! 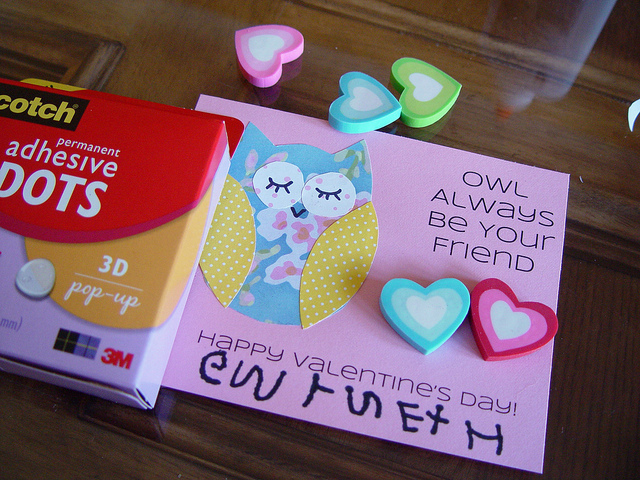 Using glue dots, we added some heart shaped erasers (we picked them up at Target 20 for $2). 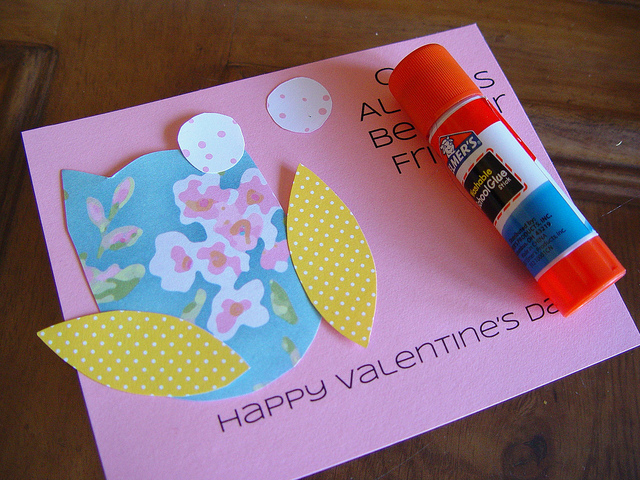 You could also add some Hershey kisses or write a little note or write your to/from here. And we’re done!! 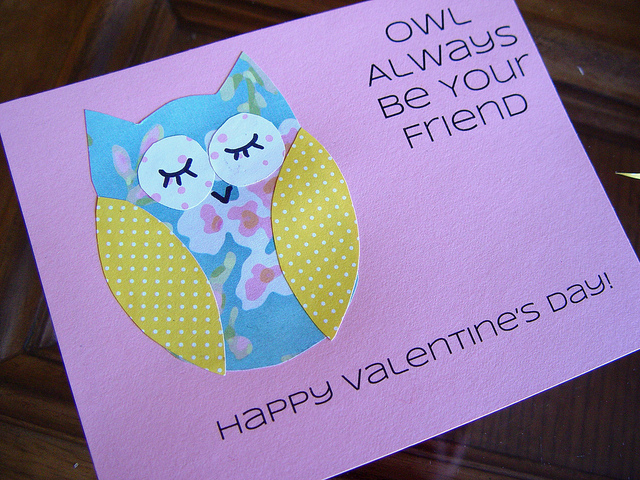 So simple but super cute.